The city of Estacada has applied for a grant from the state of Oregon to help fund the next phase of Wade Creek Park. Through the Oregon Parks and Recreation Department's Local Government Grant program, cities can apply for up to $750,000 for parks projects. The grant requires the city to match 20 percent of the funds received. The Estacada City Council approved the application during a meeting on Monday, March 18. Oregon Parks and Recreation Department staff are expected to announce the amount of funding that has been awarded to each grant recipient this fall. The projects at Wade Creek Park outlined in the grant application include converting the area's current pond environment to a stream, removing invasive weed species, providing accessibility for disabled persons and creating an outdoor amphitheater for library, school and community events. 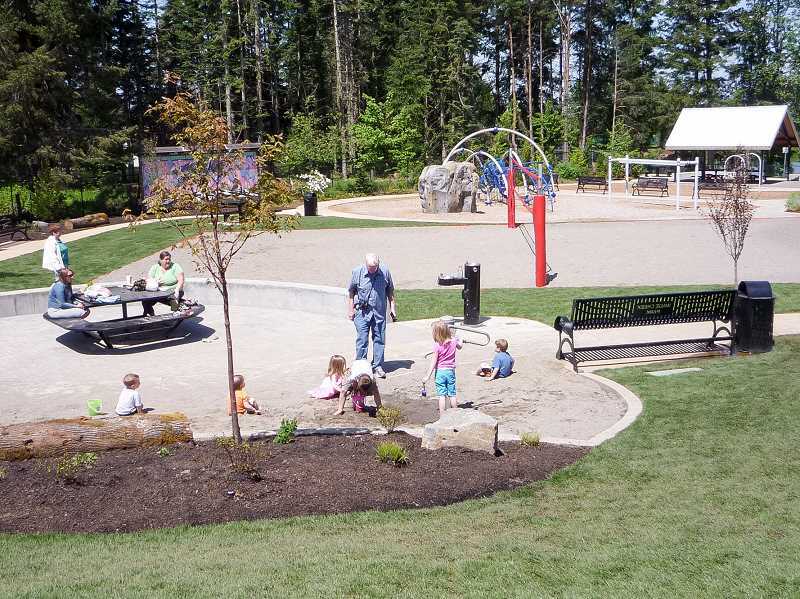 The third phase of the park at Seventh Avenue and Wade Street was approved by the City Council in February and focuses on the area behind the Estacada Public Library. Planned features include a stream, boardwalk, amphitheater, pavilion, walking trails and greenery. To ensure that costs are manageable, the project will be completed in phases. The first phase will consist of the stream, walking trails and amphitheater, and is estimated to cost $1.89 million. In total, all phases of the project are expected to cost $2.44 million. The city of Estacada has received many grants from the Oregon Department of Parks and Recreation in the past, including $295,870 for the second phase of Wade Creek Park, which included the skate park; $335,400 for the first phase of Wade Creek Park; $95,922 for the acquisition of Wade Creek Park; and $156,318 for Timber Park.